Dr. Daniel Gribbin, better known as "Dr. Dan" by his patients, is a certified chiropractor. Dr. Dan has had extensive post-graduate training in the examination, diagnosis and treatment of sports injury cases. He performs manual and instrumental adjustments, as well as cranial and extremity adjustments. He has been in practice for over 40 years and has been actively practicing in Washington State since 1976. 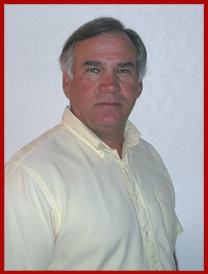 Dr. Dan is a graduate of Palmer College of Chiropractic (Davenport, IA). He also completed post graduate studies at both Northwestern College of Chiropractic (Minneapolis, MN) and the National University of Health Sciences (Lombard, IL). He holds licenses to practice in Arizona, Washington State & Pennsylvania. Dr. Dan is currently accepting Worker's Compensation and traditional chiropractic patients.